Here's what customer-centric businesses that are ready to embrace the conversational revolution need to know. That customer experience would ultimately spread to modern messaging apps has long seemed inevitable, but it's become a reality since the three largest consumer messaging players have finally opened their platforms to businesses. In January, WhatsApp (owned by Facebook) introduced WhatsApp for Business, allowing brands to proactively message customers. 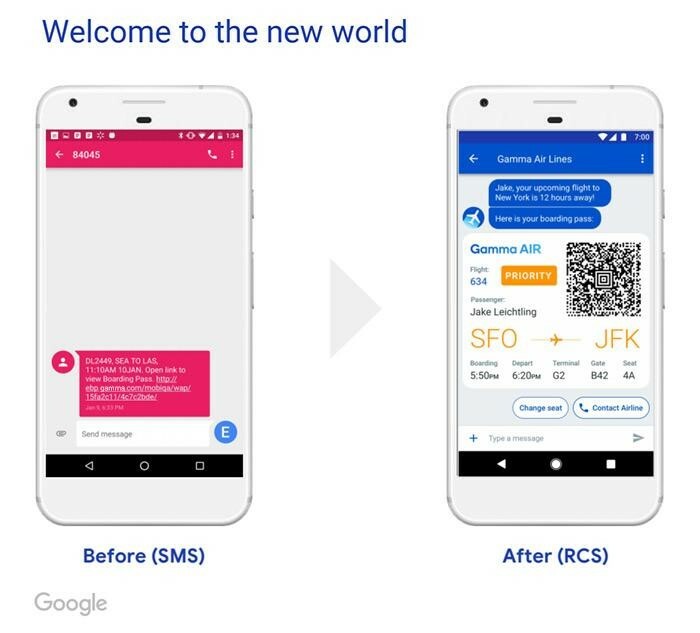 In February, Google threw its weight behind Rich Communication Services (RCS), an SMS successor that it's trying to build into every Android phone under the new "Chat" moniker. Then, in early spring, Apple launched Business Chat, allowing iPhone users to chat with businesses through iMessage. For the big tech rivals, this opened a new front in the hard-fought messaging wars. But neither businesses nor consumers have a dog in this fight. All three channels boast massive audiences, and brands who care about being wherever their customers are will have no choice but to embrace them all. As Twilio found in a 2016 global survey of 6,000 consumers, nine out of 10 customers said they want to interact with businesses through messaging apps, which is what they're already using to communicate with friends and family on more than 5 billion messaging accounts worldwide (according to July 2017 HubSpot Research data). The question is no longer when brands will embrace messaging or which apps they'll use, but how this is all going to work. That's where most businesses will be looking to their existing customer engagement platforms for help. 1. To which channels are you connected? It's early days, and WhatsApp for Business, Apple Business Chat, and Google's RCS/Chat platform are all still in beta. While in some cases these over-the-top (OTT) channels are working directly with brands, they know that the best way to scale is to bring the customer engagement and contact center platforms millions of businesses already depend on into the fold. Apple, for example, has announced that it's working with Genesys, Salesforce, LivePerson, Nuance, Zendesk, and InTheChat to get their customers on Business Chat. For the most part though, this has all gone more slowly than the OTT channels had hoped. It turns out that connecting to and managing conversations across various disconnected channels with ever-changing APIs and messaging frameworks is frustratingly complex. The reason you probably haven't seen your vendor market any of these cool new channels is that they don't exist yet. If you're eager to start messaging with customers, ask your vendor which channels they're currently working with and how far along they are. It's time to put on the pressure. 2. How will I manage all those conversations? The first step for customer engagement platforms is connecting to all these OTT channels' APIs. The next step is to provide the tools to manage these customer conversations at scale. What sort of user interface will enable your agents to chat with customers? How will they go about constructing the sort of rich and interactive conversational experiences that modern messaging apps enable? 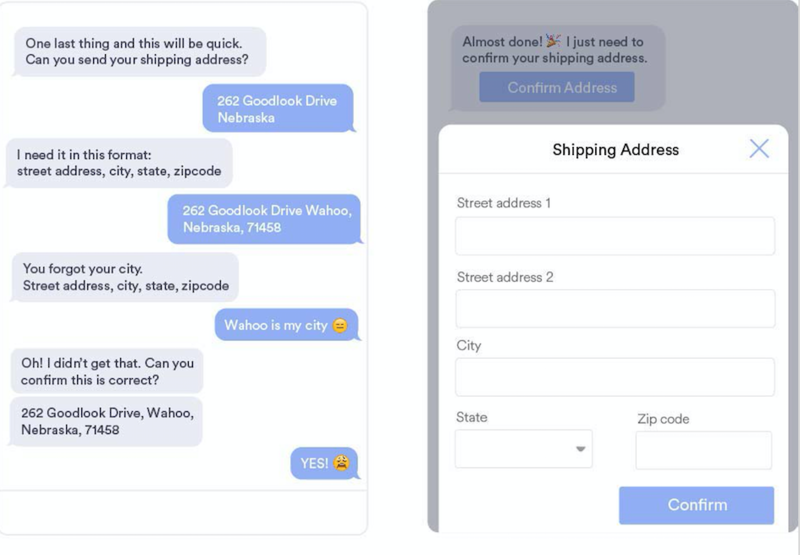 We've been hearing about a new age of "conversational commerce" for a while now. The dream is for customers to be able to do everything from book a hotel room to order a meal to fill out an NPS survey without leaving the comfort of the chat window. That all sounds great, but unless every customer support agent or contact center manager suddenly learns to code, businesses will need some tools and templates to use. Until they have such tools and templates, I fear that bots, with access to all the rich messaging capabilities of these channels, will come across as more personal and human than actual live human agents! Ask your vendor what it's doing to help you turn the hype around conversational commerce into reality. 3. How much context will I have at my fingertips? The early Apple Business Chat campaigns are promising, but they reveal how much opportunity customer engagement platforms have to help improve the user experience. As an experiment, my colleague initiated a chat with Marriott Hotels on his iPhone after searching the Maps app. Even though he'd clicked on a specific property, the agent asked which hotel he was interested in booking, along with his name and Marriott rewards number. I understand why Apple wouldn't pass on his personal details without his permission, but you'd think the business would at least be able to identify in which property he'd already demonstrated interest. This context could have been presented to the agent through whatever platform she was using to manage the conversation. In the future, it'd also be nice if I could easily authenticate myself as a customer with a fingerprint or face ID, instead of typing in my personal info. Context and identity are precisely what makes messaging so powerful. Capturing this information will allow you to deliver truly personal experiences your customers will love, no matter the channel, with minimal effort on their part. If that's your goal, ask your customer engagement platform provider what it's doing to help you get there.